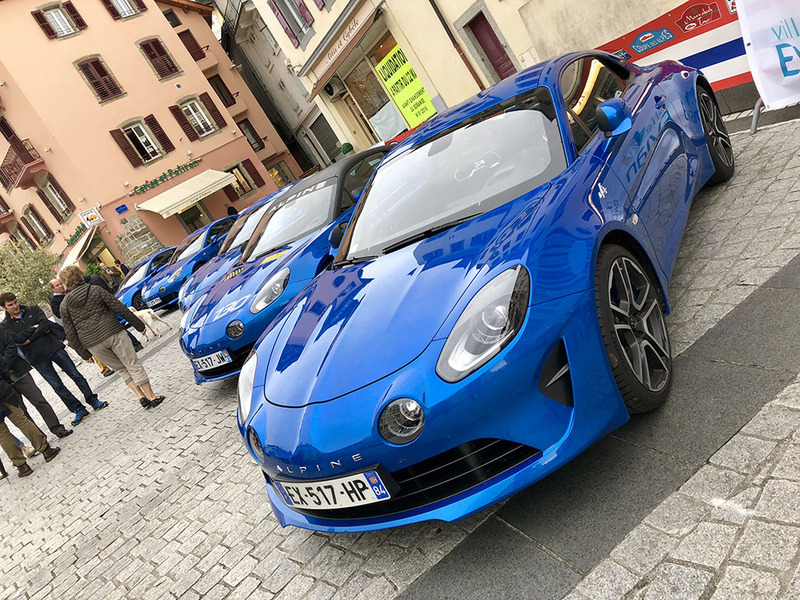 Re: New Alpine A110 owners experiences and photos. I asked alpine dealer and the 8 mins before the dash goes out is normal !... i thought it was a fault ! What's the purpose of the little white square immediately to the left of the gear indicator? Those are red on my car. Isn't the white one the one that changes to an up arrow and tells you when it's more economical to change up when you are in manual? Change indicator. Exactly that. Thx. I just don’t use Man enough. Anyone else noticed the significant difference in fuel economy between standard unleaded and premium. I did a 180 miles yesterday, first half averaged 44mpg and overall was 41 mpg and whilst there were a few steady bits a lot of it was at motorway speed in the late evening if you know what I mean. Prior to that I was getting mid thirties with standard unleaded. Its not convenient for me to use the premium but where possible I am going to stick with it. Its all about the corners. Hi All, hoping to shortly be a new owner and have a quick question. How long did people's cars take to get from port at Southampton to their dealers? My car has been stuck there since late January and I've now been told it will hopefully make it to the dealer middle of this week coming. Should I be worried something's happened to it there? simonk wrote: Hi All, hoping to shortly be a new owner and have a quick question. I wouldn't be too worried. Mine was delayed for a while. I think the main problem is that some of the Alpine dealerships only appear to be staffed part of the time. When I was looking for a dealership once I'd put my PE deposit down one of the dealerships never seemed to have anyone around. When I bought my car the salesman was also selling Dacia and Renault so was spending his time across all three desks. As a result there was an additional 2 week delay as I had to wait for his diary to clear -Not his fault as he can only be in one place at a time but it's not great for purchasers. I'm guessing your dealer is doing the same. How are people getting on with the cracked windscreen issue? Has this now been resolved? On my side I've not had many faults to report. My stop start doesn't work well and I had a minor paint issue which was resolved. That aside, the car seems to be working well. 2000+ miles to date with a mixture of inner London traffic, long motorway journeys and some awesome B road blasts. Start stop only works if the battery is charged well enough (nevertheless I switch it off). The windscreen issue is discussed in the French Alpine Forum in extend. It is not yet clear how many cars are effected and what is the cause. Mine is not effected. In general windscreens are manufactured as thin as possible to save weight and the aluminium construction is more prone to torsion. My car has I'm told been in Southampton for about a week and my dealer has been struggling to get confirmation of the delivery date. I get the feeling it is is out of their largely out of the dealers hands. I get the point about issues with dealerships - I complained to alpine and they changed mine as I was very unhappy with failure to return calls and general pathetic attitude. I don't however accept "not his fault" or "diary to clear". 21 months wait since deposit paid on a £50K car - come on. I should be interested to know who is your dealer? Hoping to collect Saturday and *very* excited. Edinburgh based and haven't seen one yet! I hope you get to collect on Saturday and enjoy the car! A sorry tale this end unfortunately. I escalated to Alpine and things at the dealer are now being handled at a management level. But it now turns out the car was damaged and the delay is the parts required to repair the rear bumper are on backorder with no due date as yet. I'm awaiting their proposals but the experience is soured for sure. Did this damage only come to light because you pressed for information? I was given an estimated delivery date of a week once it landed in Southampton and after 5 further weeks of "problems at the port due to unusually high volumes of cars" I escalated things. The branch manager with Alpines help got to the bottom of it yesterday and to his credit is being entirely open and honest and apologising the salesman let it get this far. I should be clear that damage is my word, not theirs. But when a bumper meets qc leaving the factory but fails it and requires parts at the destination port then I'm not sure what other word to use. simonk wrote: I was given an estimated delivery date of a week once it landed in Southampton and after 5 further weeks of "problems at the port due to unusually high volumes of cars" I escalated things. The branch manager with Alpines help got to the bottom of it yesterday and to his credit is being entirely open and honest and apologising the salesman let it get this far. I am confused. Surely if the car is damaged after leaving the factory, the obvious place to fix it is at the branch, yet you say the branch were unaware of the problem. Who were Alpine proposing to do the repair in Southampton?